Have you decided to become a paralegal? Well, before you get started on your studies, did you know there are several fields from which you can choose? One of them is immigration law. What is an Immigration Paralegal? Immigration paralegals help attorneys who represent immigrants. They often draft motions, translate foreign documents, prepare notes for immigration hearings, and research statutes and other laws in their jurisdiction. Other duties include helping clients fill out forms and getting proper documentation so they can obtain citizenship, a green card, or a visa. They also have to determine if clients seeking asylum are eligible for refugee status. It is helpful (and sometimes required depending on the employer) if immigration paralegals speak at least one other language, especially Spanish. Immigrants do not usually speak English, and in order to help properly help them, you need to be able to easily communicate. Besides law firms, immigration paralegals often work for the American Bar Association, government agencies, and non-profit organizations. According to the U.S. Bureau of Labor Statistics, the national median salary for paralegals is $44,950, but can vary greatly depending on location and specialization. The Bureau believes this profession will grow 17% through 2022. This is because many law firms are hiring paralegals to reduce costs. If you decide to work as an immigration paralegal, you can be recognized as a specialist in this field by earning the Board of Immigration certification issued by the Immigration Legal Resource Center. To do this, you must complete a 40-hour training course that is available in some states. The exam takes two days to complete and subject areas include Communications, Ethics, and Legal Research. The exam is two-tiered and includes ethics and general legal issues. ALS (basic certification) – To take this exam, you need to have completed an accredited business or legal course, the NALS training course, or have one year office experience. 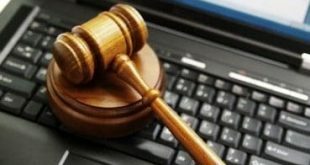 PP – This exam is designed only for paralegals. If you do not have a degree, you must have five years’ work experience before you are eligible to take it. Those that have a degree only need three years’ work experience for eligibility. PLS (advanced) – Anyone who has at least three years’ experience working in the legal field can sit for this exam. This is just about everything you need to know in order to become an immigration paralegal. 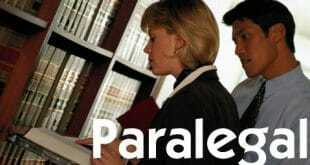 If you would like to learn more about this topic or about the other types of paralegals, contact us. We will be glad to educate you further about this great career.